TL;DR: IPv6 router configuration can impact cablemodem provisioning on Comcast. Don’t let programmers run networks. Follow up to my previous post on getting IPv6 configured on a Cisco router on Comcast. I recently realized I was an idiot (for many reason) but in this case because I was still paying Comcast $10 a month for a cablemodem. Previously we had our home telephone service with Comcast and my research had indicated that you couldn’t buy a retail modem in that case (but I’m not so sure now). But in either case we moved back to Vonage and so after it while it dawned on me that we could save the rental fee. After truly minimal research I ordered an Arris SB6183 from Amazon. I received it and activated it but I had a lot of trouble getting IPv4 reliably. In fact, as long as it was plugged into the Cisco it would not get sync with Comcast. If I unplugged the ethernet it would get sync and afterwards I could plug it in and sometimes it would even work. That wasn’t a sustainable solution so I then ordered a TP-Link TC7160. I got the modem, it would get sync but I still wouldn’t get IPv4 assignments and when I got IPv6 assignments they wouldn’t route. This was fairly strange, and with both modems I could plug them into a laptop and have them work normally. I could even have the laptop spoof the MAC address of the router interface, plug it into the router. The router would get DHCP but then not be able to route traffic. But the same router/configuration had worked with the old Comcast-rented modem without issue. 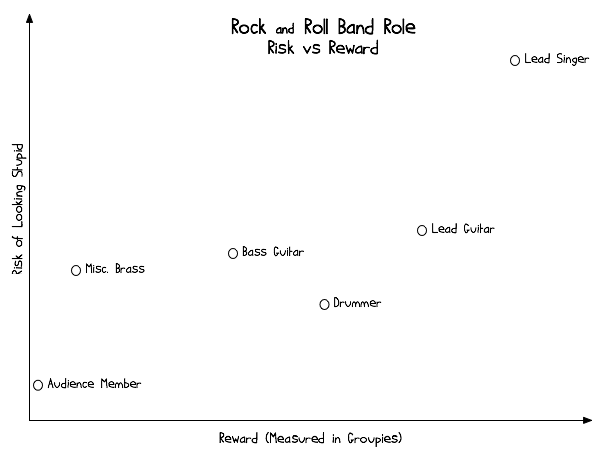 I pondered this for a good while and it most likely had to be something IPv6 related. I started turning off IPv6 settings in the router until it would work. The key configuration was “ipv6 unicast-routing”. When that was disabled, it would get IPv4 and work great. Enabled (even after IPv4 was assigned and working) and it would instantly stop routing traffic. I’ll spare you the details of the fiddling that ensued but this is what I found: I needed to suppress IPv6 route announcements on the WAN interface. I believe what happens, and what changed, is that the newer cable modems are getting their provisioning over IPv6 while the old modem was provisioning over IPv4 (or something else that’s not IPv6). The route announcements were confusing the cablemodem and causing it to prefer sending its provisioning traffic to my router instead of the Comcast next-hop. When the route announcements stop it works as intended. Even though I saw recommendations for the Arris SB6183, the TP-Link TC-7160 boots faster and runs cooler than the Arris. The amount of heat from the Arris was very surprising, the coax connector was too hot to touch, and it heats up very quick. The morning after I switched I felt the coax connector on the TP-Link and it was normal as I would have expected. Comcast doesn’t care about your IPv6 DHCP hints. I recently got motivated to deploy IPv6 at home. I’ve been meaning to do this for a while but everytime I checked the Comcast documentation was vague as to whether it was available in my area. Finally, Comcast announced they had rolled out dual-stack IPv6 across the country and I couldn’t make excuses anymore. Unfortunately, in the meantime all of the Comcast IPv6 pages also happened to stop working. Nearly any Comcast page in the Google index relating to IPv6 details just redirected me to xfinity.comcast.net. Let’s just dig into the details. Here’s how I got mine to work, your mileage may vary. I run a Cisco 800-series router as my internet gateway. The Internet comes in on interface FastEthernet8. Here’s the configuration I have, along with some commentary on what why and how. I initially did this without the traffic-filter on the interface, and I suggest you do the same. First get it working, then lock it down. This is just the final configuration I ended up with. I’ll expand on the access-list’s further down. You can see the “IA PD” (prefix delegation)” and “IA NA” (non-temporary address). # nd stands for "neighbor discovery"
At this point in the configuration the Mac’s on my network started working automatically, which is pretty cool. By default, the Mac’s configure a permanent global address using the MAC address of the interface as a template, but they also create a daily temporary IPv6 address that they use for outgoing connections. This address gets rotated daily and kept for about 7 days. I wanted the Debian box to also use temporary IPv6 addresses by default. The gotcha with #1 is that it has to inherit the delegated prefix from the router. It correctly inherits the prefix for the automatic addresses, but I can’t figure out how to do the same for a static address. I haven’t found a solution to this problem yet. As for the temporary address, a friendly SuperUser site member answered the question. # Outbound access-list is not so interesting. Finally to test all of this I used a shell account on a Digital Ocean VM ($0.007 per hour) because they support IPv6 natively. From there I was able to externally probe the network and make sure things were working as intended. Hurricane Electric’s IPv6 certification was useful in helping me verify my progress and kept going to the next step. I found an issue with my configuration that breaks modern cablemodems (at least on Comcast). As a result I’ve update my configuration above with the fix. I also update the configuration to use “!” comments instead of “#” comments since that’s syntactically correct for Cisco configuration. 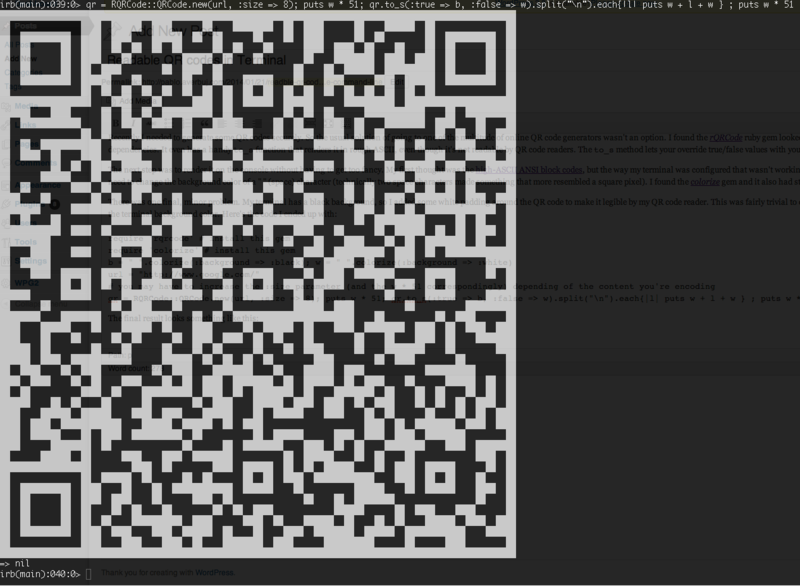 Recently I needed to generate some QR codes securely. 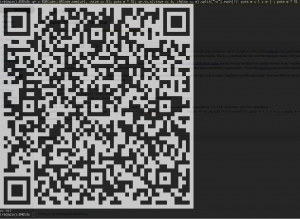 So the usual solution of going to one of the multitude of online QR code generators wasn’t an option. I found the rQRCode ruby gem looked straight forward and required no external dependencies. It even has a handy to_s function that renders it in rough ASCII, even though it’s not readable by QR code readers. The to_s method lets your override true/false values with your own strings. The next step was to render it on the console without having to get too fancy. My first thought was the high-ASCII ANSI block codes, but the way my terminal was configured that wasn’t working. Then I realized I was overthinking it. I just need to change the background color of a ” ” (space) character (technically two space characters made something that more resembled a square pixel). I found the colorize gem and it also had straight forward documentation and examples. With all the talk of MD5 and SHA-1 collision attacks it got me wondering the other morning: would storing two different hashes of the same data result in a more secure environment rather than just moving on to the next new hash algorithm?It’s not an easy case to make, but suspend disbelief for me. The case I’m addressing is one of hashes as signatures, such as software delivery. The collision risk here is that an attacker breaks into a popular source of software (let’s say gnu.org) and replaces the good files with compromised files that share the same size/hash. When a user downloads the file and compares the hashes they find a match and proceed to trust the software. But what if instead of just providing the result of a single hash (let’s say MD5) the provider supplied both SHA-1 and MD5 hashes of the file. Now an attacker has to compose a file that collides on both algorithms. As a general method (regardless of algorithms) this seems like it would mitigate attacks and give longer life to hash implementations. Consider Debian for a moment. The Debian package lists include a MD5 hash of the package file. If/when they decide to switch to SHA-256 (a reasonable choice right now), it would require a lot of retooling. Since they have to keep the MD5 hashes anyway for backwards compatibility, why not retool to support both hashes. Now an attacker who compromises a package has (what I would imagine to be) an exponentially more difficult task. My coworker, Will, brought up an interesting question. In the case where the data is secret such as storing the hash of a password, does computing multiple hashes of the secret data provide an opportunity for an attacker to glean information about the secret data? Storing two hashes of a password would slightly decrease the efficacy of brute-force attacks, but also increase the efficacy of attack via rainbow tables. If there’s a potential for information leakage the medicine may be worse than the disease. Update: Doug found a paper that addresses the first part of the question here. 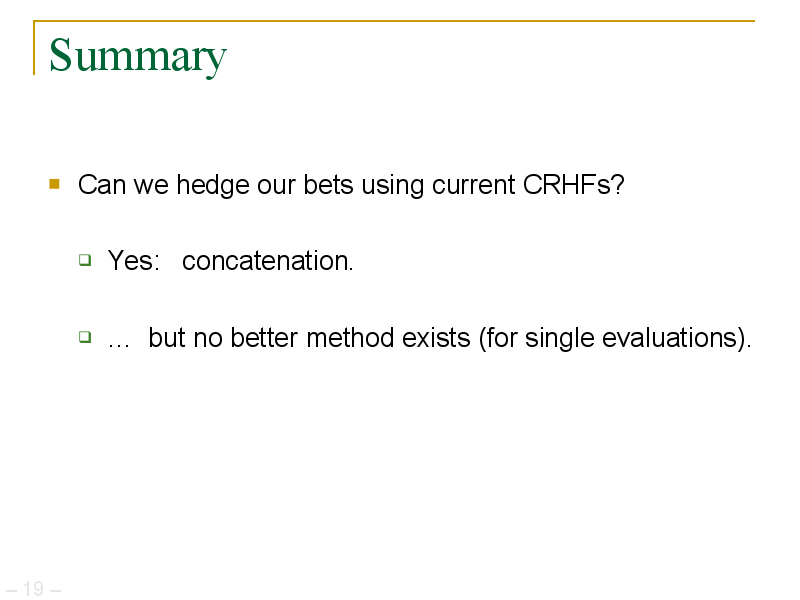 It concludes that concatenation is a hedge, but doesn’t quantify how much value it adds. This cleans up the file nicely. Of course, you’ll have to add the useful comments back in. 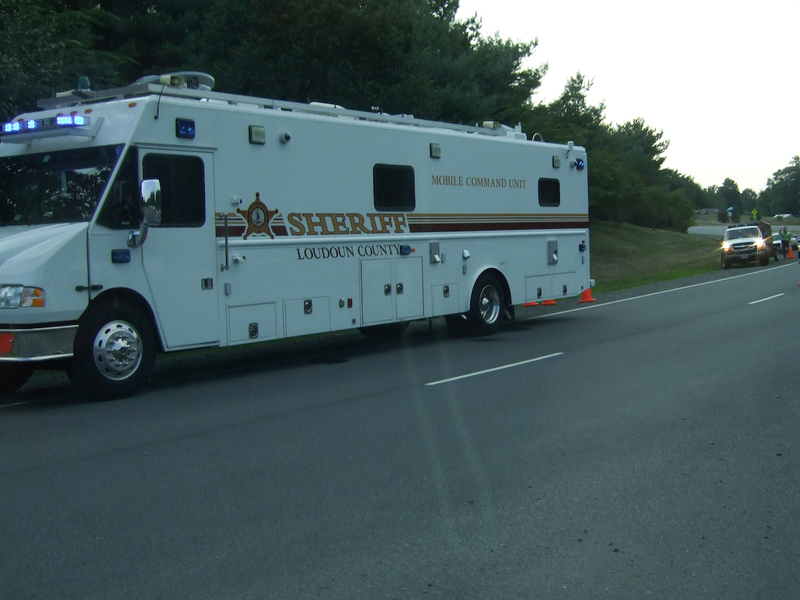 Here’s a note I just submitted to the Loudoun County Sheriff’s Office. I think a few of the people who pay attention might have something to say about this. On Wednesday, August 6th, I was driving home on Countryside Blvd. 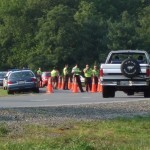 when I encountered what I can only describe as a checkpoint at the intersection with Carrollton Rd. 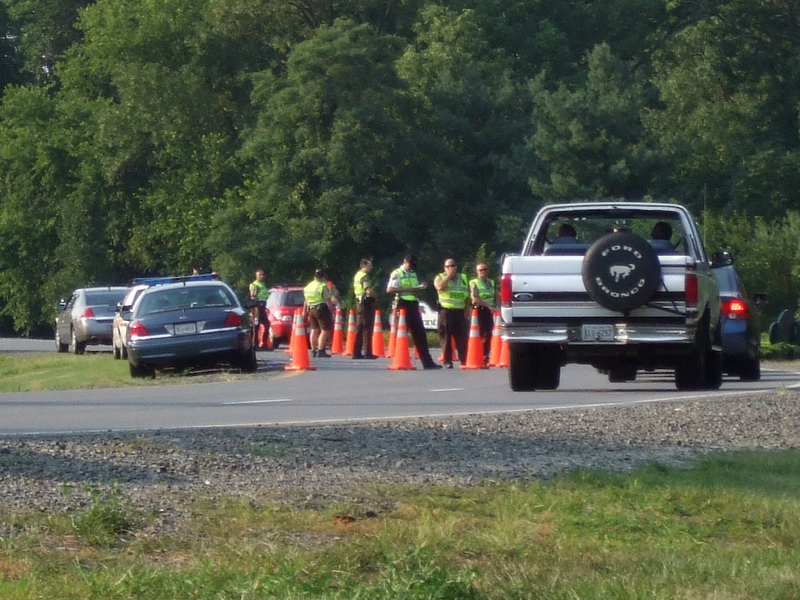 Both directions of Countryside were blocked and all vehicles were being detained, as far as I can tell, without cause. I was asked by an officer to show my driver’s license and upon quick inspection was waved along. 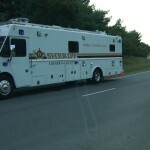 Given the media attention that was received seemingly similar activities in D.C., I was wondering if you could provide some information as to what occurred that day and why. I’m worried this may have been a violation of mine and other citizens’ civil liberties, but would like to reserve judgement until I have more information. I appreciate your time and considerate attention to this inquiry. It didn’t occur to me to question the basis for asking for ID and it didn’t really anger me until after I left the checkpoint. I went back out with a camera to document what was going on. To their credit, the police didn’t seem to mind me taking pictures. At 6:45pm, just as I was about to drive through the roadblock again and this time refuse to show ID, they all simultaneously and unceremoniously packed up and went home. Not even sure what to make of it. Someone’s already suggested I’m overreacting, and that may be so, but I nevertheless was left with an uneasy feeling. Some pictures below. 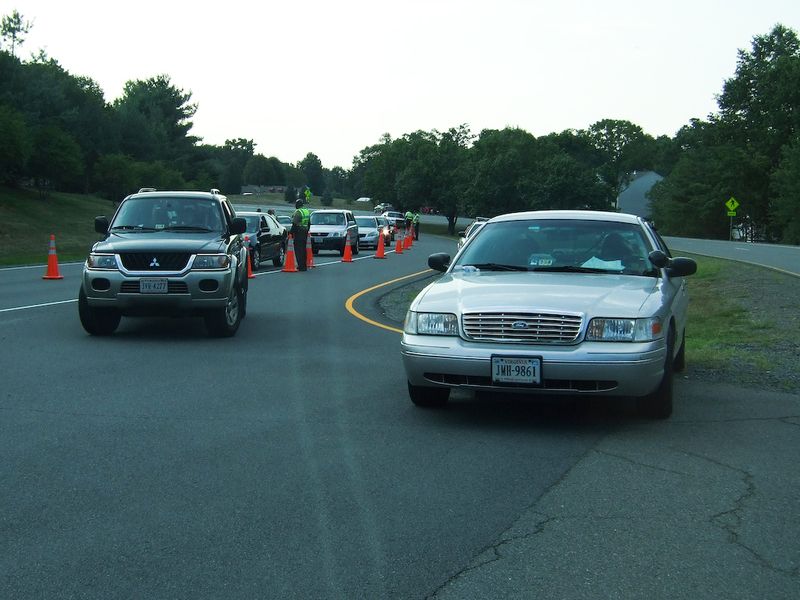 Mr. Averbuj, for several years the Loudoun Sheriff’s Office have conducted Driver’s License Checkpoints throughout the county as a continuing crackdown on unlicensed drivers. 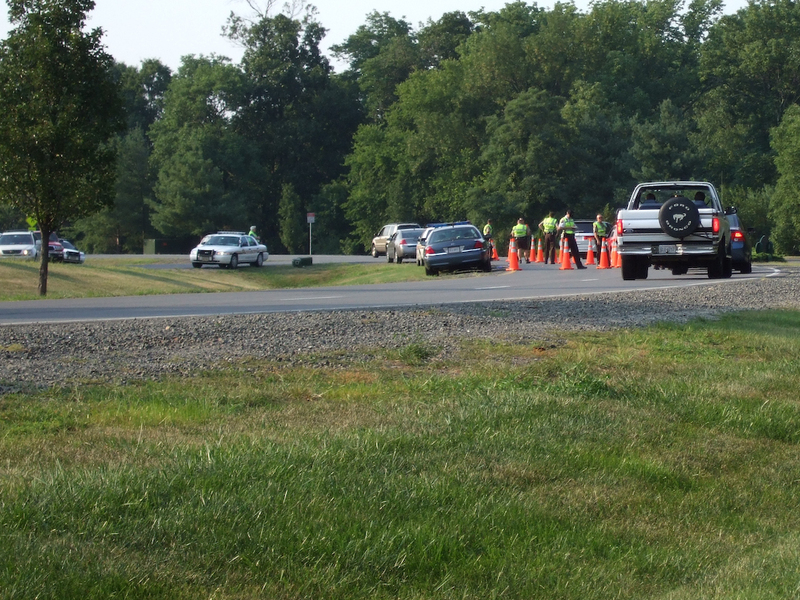 We have conducted three such checkpoints this Summer.Â The location for the checkpoints are selected based on deputies who report a number of unlicensed drivers during their daily traffic stops. 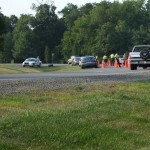 During the checkpoint on Wednesday nine motorists were cited with driving withoutÂ a license and two for driving on a suspended license. 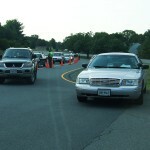 Those were among the 42 citations issued during the 3 hour checkpoint. I found a page on the very recent overruling of similar roadblocks in South Carolina, and the SCOTUS decisions that govern such activity.